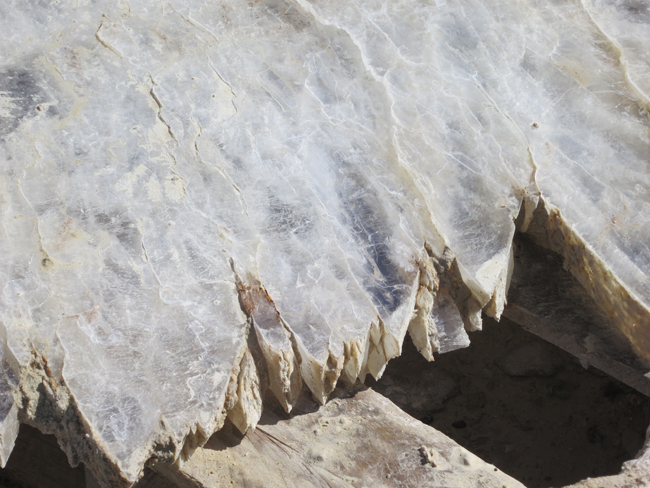 Selenite crystal, or more commonly known as gypsum, is a valued mineral that has been used for thousands of years. Ancient Egyptians were one of the first to use it as plaster, and incorporated it into the construction of the pyramids. Gypsum can be found all around the world and holds many different purposes. Furniture designers appreciate the mineral for its undoubtable aesthetic qualities. Jean Michel Frank was among those who were inspired by the mineral and fused it in many pieces, most notably a cabinet made of gypsum and bronze. Jean Paul Viollet recognized the impressive presence of the material when used in furniture and decided to incorporate it into Atelier Viollet?s line of work to make new dynamic pieces. 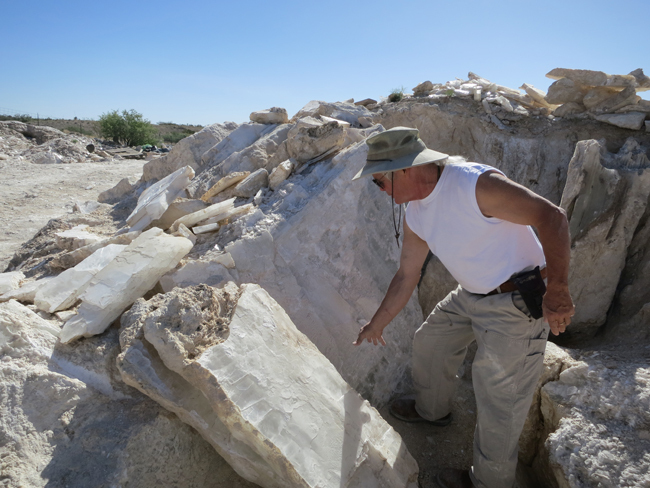 After some research, Jean Paul located a gypsum quarry that satisfied his needs for gypsum suitable for furniture. 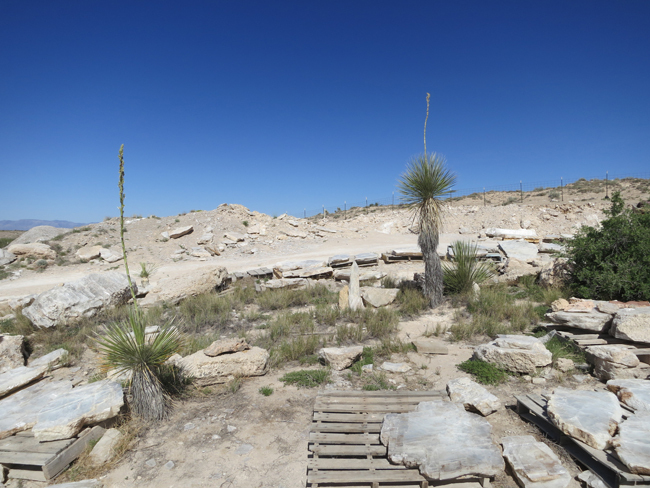 After exchanging several phone calls and emails with the quarry owners, he decided to make a visit to the quarry. 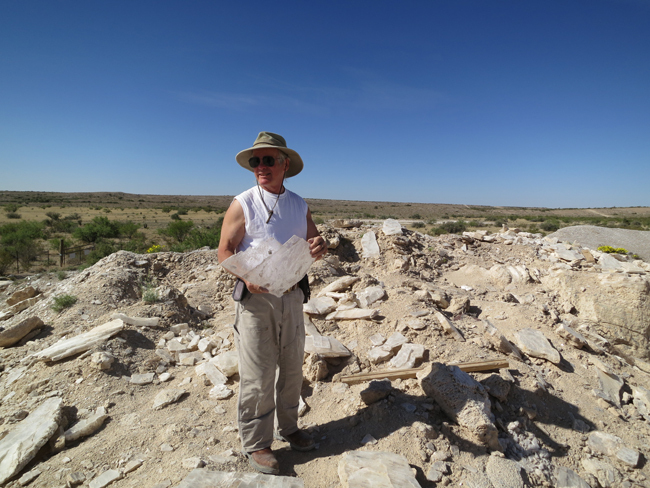 Jean Paul and his wife Sandrine flew to New Mexico to begin their gypsum filled journey for a weekend in May. 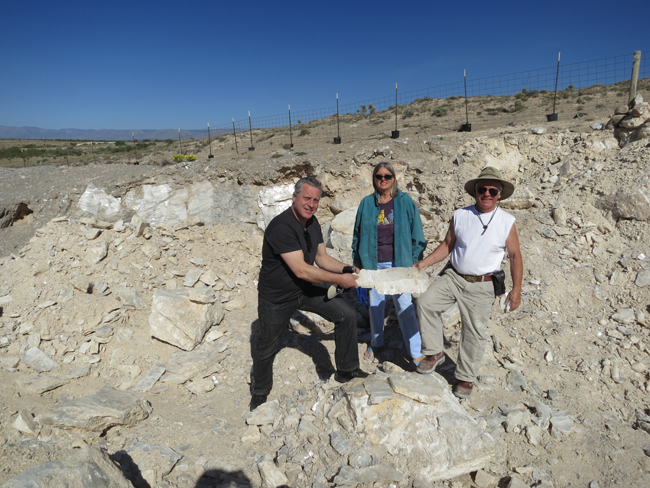 Mark and Trudy, the owners of the quarry, showed the two around their open field quarry informing them about the different processes gypsum undergoes to be fully prepared. Jean Paul and Sandrine were amazed by the incredible natural beauty that lay before them. They truly cherished the opportunity to see this new material in its original state and environment. This experience allowed Jean Paul Viollet to better comprehend the mineral?s qualities, a lesson he finds to be extremely invaluable.